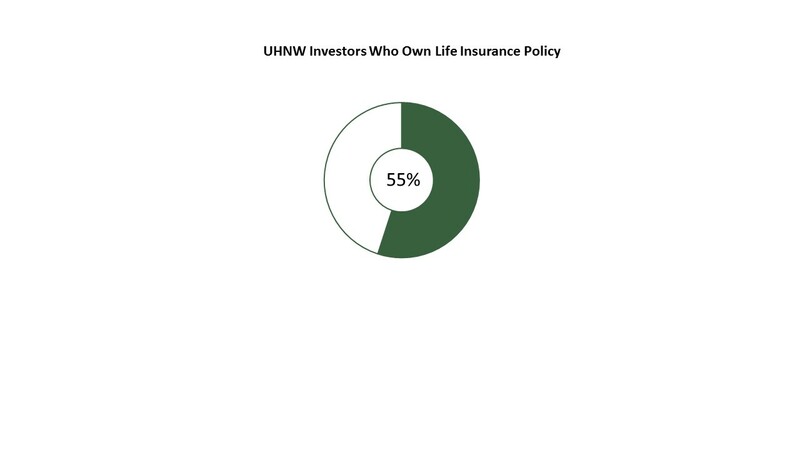 Despite the apparent wisdom shown by owning life insurance, as well as the knowledge that it will eventually come to use, less than two-thirds of all affluent investors own life insurance policies. The numbers for long-term care insurance are even lower. Life insurance is designed to protect and provide for loved ones upon the eventuality of death. Depending on the type of life insurance purchased, it is a valued way to provide a level of financial security to spouses or the next generation. Should advisors promote the concept of owning life insurance? For many advisors, life insurance is a key component of their product line. But some advisors are licensed to sell life insurance and others are not. The question of promoting life insurance to clients is different depending on whether the advisor is licensed to sell such products. For those investors who are licensed to sell life insurance products, they need to understand the wide range of products that are available to consumers. Whether it is whole life insurance, long-term care insurance, or annuities, advisors must be knowledgeable in order to serve the client best. It is also possible the investor could come into a meeting with some knowledge on the subject, and the advisor does not want to be in a position where the investor knows more than the advisor does. It is necessary for advisors to determine if their clients are indeed wealthy enough to determine that life insurance is an unnecessary purchase. Will that wealth cover college education costs, and assist the next generation financially when the investor passes away? For advisors who are not licensed to sell insurance, they need to be able to educate their clients on the different types of insurance and how it might fit into their overall investment strategy. Like any other investment that has an eventual payoff, life insurance can play a significant role in an investor’s portfolio, and advisors who are not licensed to sell insurance must be prepared to determine how much life insurance a client might need and where best to acquire it. Many times it is prudent for an advisor to have a relationship with an insurance professional. Life insurance is not as common as one might think. Spectrem’s ongoing research with wealthy households indicates that less than two-thirds of all affluent investors own life insurance policies. The percentage of ownership is relatively constant no matter the wealth level of the investor. For instance, while 55 percent of Ultra High Net Worth investors with a net worth between $5 million and $25 million own life insurance, 59 percent of Mass Affluent investors with a net worth between $100,000 and $1 million have life insurance policies. The research finds, however, that the face value of the policies highlights a difference between wealth segments. The face value for wealthier households is much higher than for less affluent households. Another issue to be raised by advisors is the possibility of owning long-term care insurance. These policies designed to help loved ones care for their elders when they become unable to care for themselves are expensive, and the ownership of such policies among affluent investors is spotty at best. Spectrem research indicates that only 26 percent of investors with more than $5 million of net worth own long-term care insurance and only 22 percent of investors with $100,000 to $1 million of net worth own this type of insurance. An advisor should be versed in the benefits of long-term care insurance as well. If the expense of long-term care would be disastrous to an investor, the purchase of such a policy should be addressed and an advisor can provide direction in where best to acquire such a policy. Whether you are licensed to sell insurance or not, you must be ready to handle questions related to life insurance or long-term care insurance. Not only are there many varieties of such polices, but they are changing frequently. For example, some long-term care policies are now being tied to whole life insurance policies to boost sales. There are many aspects of an investor’s life that must be taken into consideration when discussing life insurance. Beneficiaries and life expectancy play a role. Unlike some other investments, life insurance benefits do not waver, and investors can find financial solace in knowing life insurance will provide for the next generation. Additionally, life insurance is commonly used in estate planning. Because life insurance passes tax-free, it is commonly used to fund various trusts. As estate planning rules change, it's important for advisors to remain knowledgeable about when life insurance can be used effectively for these purposes.